The SEMI Industry Strategy Symposium (ISS) opened with the theme “Golden Age of Semiconductor: Enabling the Next Industrial Revolution.” The annual three-day conference of C-level executives gives the year’s first comprehensive outlook of the global electronics manufacturing industry. 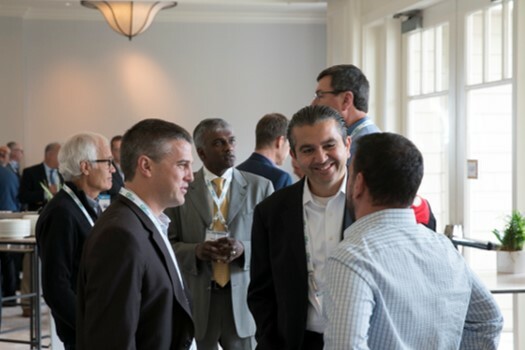 For ISS 2019’s nearly 300 attendees, opening day highlighted market and technology opportunities and the high-water mark for semiconductor manufacturing supply chain investments in 2018. Deep discussions on applications, disruptions and Industrial Revolution 4.0 will mark today, Day 2. Day 3 will feature presentations on industry workforce development and the evolving U.S.-China relationship and convene an expert panel on “The Next Semiconductor Revolution: Filling the Gap Between Smart Speakers and Autonomous Vehicles” to culminate SEMI’s business leader annual kick-off event. Opening keynote speaker Ann Kelleher, Senior Vice President and General Manager of the Technology and Manufacturing Group at Intel, observed that data is powering the fourth industry revolution and the expansion of compute markets. Excellent customer experience and new technologies including Internet of Things (IoT), artificial intelligence (AI) and autonomous vehicles are key drivers of data growth. Today, fabs collect more than 5 billion sensor data points each day. The challenge, Kellehere noted, is to turn massive amounts of data into valuable information. With customers expecting continual improvements in applications, the question is whether the chip industry is moving fast enough to meet these expectations. A broad supply chain, equipment and materials innovations, and attracting the “best of the best” college graduates to fuel innovation is key, she said. Ambassador (Ret.) Nicholas Burns, Harvard Kennedy School of Government, noted the United States is trailing China in a battle for technological supremacy. By 2050, Indo-Pacific could become the world’s locus of economic power, potentially leading to conflict and instability. The rise of nationalism in China, India, Japan, Russia and the U.S. is a major trend, and the power gap between the U.S. and China, Russia and India is narrowing. From 1979 through last, China and the U.S. came together to solve big problems, he noted. The world has shifted ominously from strategic engagement to outright strategic competition. Duncan Meldrum, Hilltop Economics, noted the world has passed the peak of its current economic expansion, with GDP peaking in 2018 and gradually slowing to 2.7 percent trend growth. The consensus outlook is for strong global economic growth. While an alternate outlook holds that a global recession will develop, a deep growth recession isn’t expected. The problem today is that global economic uncertainty is at an all-time high, suppressing investment and growth. Bob Johnson, Gartner, forecasts businesses will get $5 trillion of value from AI by 2025 as businesses explore ways to implement AI to tap its tremendous potential. AI, IoT and 5G are major enablers of new value, with market demand shifting from consumer to commercial applications offering higher returns on investments, Johnson said. Future semiconductor market drivers include augmented analytics, digital twins, AI, autonomous things, blockchain, smart spaces and quantum computing. Andrea Lati, VLSI Research, expects the semiconductor slowdown to continue into the first half of 2019 and said it could face a decline of as much as 35 percent. The strategic question for industry leaders is how to transition from a commodity provider to a value provider. In 2019, both semiconductor equipment and assembly sales are forecast to drop 13 percent, ending equipment’s strong run since 2016. Michael Corbett, Linx Consulting, provided an upbeat outlook for the materials industry, which is enjoying a record expansion with MSI a key driver and record levels of capital expenditures reflecting very high utilization across both 200mm and 300mm. Materials market trends include a wafer fab materials CAGR of 6.9 percent from 2017 to 2022 and industry growth of $26 billion in 2018 to $33 billion in 2022. The afternoon session focused on Market Perspectives, including smart manufacturing, human health, AI and 5G. Sujeet Chand, Rockwell Automation, outlined Smart manufacturing best practices for semiconductor production. He envisions big data being increasingly replaced by data structured based on target factory outcomes that dictate whether to run analytics on the edge or in the cloud. Semiconductor fab productivity driven by digitization will grow faster in the next 10 years than in the past 50 as information and operational technology converge to speed the optimization of semiconductor fabs and supply networks, he said. Igor Fisch, Selexis, focused on how the current golden age of semiconductors is shaping human health. He pointed to the critical importance of chips in biotechnology as big data becomes key to the analytics that will give rise to personalized diagnostics and therapies. Drug discovery and development will rely on massive computing power and data storage, with semiconductor and supercomputer technologies key enablers of precision medicine. Eric Jones, Enthought, noted that semiconductor manufacturers must reimagine themselves over the next decade to power their own digital transformation. Data consolidation, automation and simulation will enable the predictive power – key to digital transformation – of AI and machine learning, he said. However, the greatest challenge is related to changing company culture, philosophy and organizational design. Sree Koratala, Ericsson, forecasts 5G will evolve from initial use cases to mainstream adoption in 2024. Connectivity has reached an inflection point, with the focus shifting from consumers to businesses including the immersive experiences of virtual and augmented reality (AR/VR), autonomous control and cloud robotics. 4G and 5G will co-exist to deliver a much larger impact to people and businesses, she noted. Sarah Cooper, Amazon Web Services, highlighting IoT trends, offered a vision of products learning from collected data to personalize functionality. Product differentiation is not about the specifications but about the customer experience. Coupling device data with machine learning can create a product that adapts to changing customer needs, eliminating the need to develop separate SKUs, she noted. Days 2 and 3 at ISS will delve deeper into the industry with presentations by:Tokyo Electron Limited, Xperi, Micron Technology, Google, Applied Materials, McKinsey & Company, Brewer Science, DECA Technologies, Carbon, Bank of America Merrill Lynch and SEMI. The SEMI Industry Strategy Symposium (ISS) examines global economic, technology, market, business and geo-political developments influencing the global electronics manufacturing industry along with their implications for your strategic business decisions. For more than 35 years, ISS has been the premier semiconductor conference for senior executives to acquire the latest trend data, technology highlights and industry perspective to support business decisions, customer strategies and the pursuit of greater profitability. SEMI® connectsmore than 2,100member companies and 1.3 millionprofessionals worldwidetoadvance the technology and business of electronics manufacturing. SEMI members are responsible for the innovations in materials, design, equipment, software, devices, and services that enable smarter, faster, morepowerful, and more affordable electronic products.Electronic System Design Alliance (ESD Alliance), FlexTech, the Fab Owners Alliance (FOA)and theMEMS& Sensors Industry Group (MSIG) are SEMI Strategic Association Partners,defined communities withinSEMIfocused on specific technologies.Since 1970, SEMI has built connections that have helped its members prosper, create new markets, and address common industry challenges together. SEMI maintains offices in Bangalore,Berlin, Brussels, Grenoble, Hsinchu, Seoul, Shanghai, Silicon Valley (Milpitas, Calif.), Singapore, Tokyo, and Washington, D.C. For more information, visit www.semi.org and follow SEMI on LinkedIn and Twitter.